I like to incorporate a little bit of me into it. I enjoy cocktails VERY much, and often my characters do, too. ​where I found the recipe if it's not my own creation, and pictures. Looking for a reason to drink? ​Click here for ALL the National, International, and World Booze-Days! But then... editing. So I went on a hunt and found this mocktail! 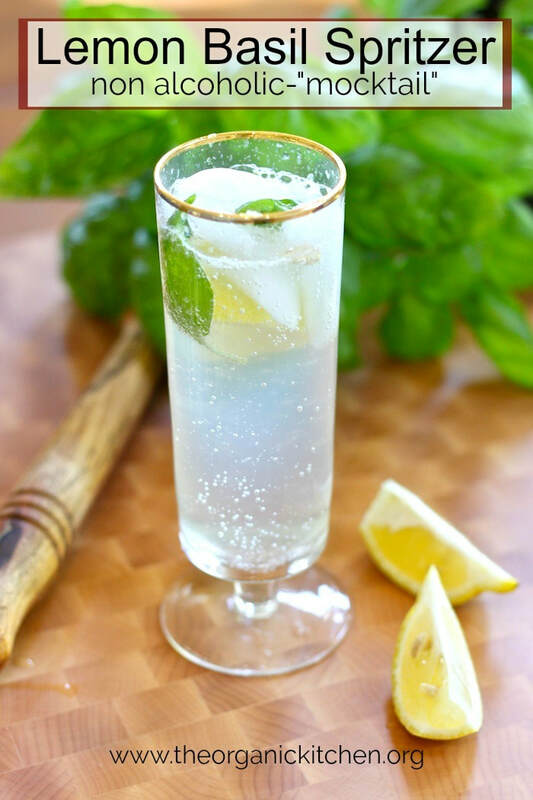 A Lemon Basil Spritzer! I make mine with the suggested Stevia and Diet Tonic because I'm on the Ketogenic Diet. Give it a taste and enjoy! Message me and let me know what you think! Today, August 13th, is National Prosecco Day! One of my favorite cocktails featuring this delightful effervescence is this G&Fizz, a refreshing blend of gin, elderflower liquor, and (of course) some bubbly PROSECCO! A sprig of mint and cucumber slice or two make a nice garnish. You don't have to buy a big bottle - buy a small "split." Ask your vendor to point them out if you're not familiar with them. Usually I tweak recipes - The one I found on the Prosecco Club I don't. And - imbibe responsibly, please! I want to see you again! I looked at what we had in the cupboard & poked around online for what I could make. I found Blueberry Smash and a Blueberry Elderflower drinks. And - as I'm wont to do - I tweaked. I put a small handful of blueberries in the bottom of the martini shaker and a good squeeze of lime. I muddled them together to release all the yummy blueberry goodness. Added a splash of minted simple syrup* (you could use regular simple syrup if you don't have the mint leaves), and a good pour of gin (about 2 ounces) and a nice pour of elderflower liqueur (about 1 1/2 ounces). You'll probably need a small sieve to strain ​out all the small bits of blueberry skin and seeds. ​Cheers - and as always - Drink responsibly! Not too sweet, not too alcohol-tasting - so be careful! I did tweak their recipe a smidgeon. lemon juice and simple syrup - i didn't. on my drinks, so those got bumped. Further - I don't typically have "citrus vodka"
​in the house, so i just used good 'ole KettleOne. Put 4-5 torn basil leaves in a martini shaker. ​Add about 15ml of simple syrup*, and one juiced lemon. Next add about 60ml of your favorite vodka. Strain into a (preferably) chilled martini glass. ​Enjoy - and please drink responsibly. *Simple syrup is sugar and water in equal parts - dissolved. Usually simmered together. release the mint oils and give you the delicious minty goodness.